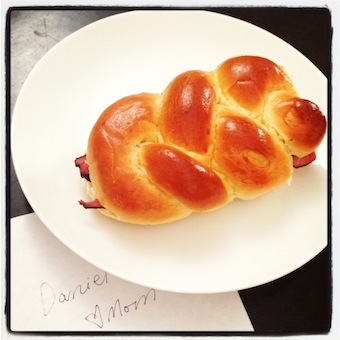 This entry was posted in Discovering Mommy, Exploring Family and tagged barmitzvah, brother, challah, FTSF, motherhood, parenting, snack, teen by Nicki. Bookmark the permalink. This post was first published on RedBoots in February. I am reposting today as part of Finish the Sentence Friday on the delicious prompt: “I know my child would rather I not reveal this…” Or maybe it wouldn’t faze him at all. I don’t really know. Which is my point. Since writing this eight months ago, he has turned 13, had his bar mitzvah and moved up a grade but little else has changed. He’s still pretty far away from me most of the time. Absolutely lovely. The whole thing. Right down to the pastrami sandwich and Big Easy Boy’s comment. I’m struck once again how we manage to churn out such different little people in the same family. My two are very different yet they’ve been raised the same. Genetics is a powerful thing. My daughter is my dad and my sister – organized, shy, thoughtful. My son is most like me with bits of his late dad tossed in – more social, less organized and an optimist. It’ll be interesting to see your relationship mature with BIg Easy. Thank you Kelly! You’re right – the genetics of it all is amazing. Just the other day my husband and I were marveling at how our littlest guy is such a combo of his two brothers… with his own twist! It sounds like you have tremendous insight into your kids’ inners – such a valuable thing to hold onto. 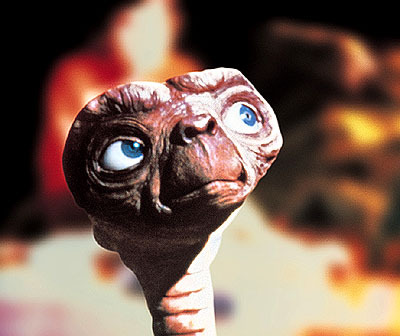 Hi Nicki: I think that it is part of being the oldest child. Oldest kids learn to be a bit more independent, and can serve as “links” between the parents and their youngest siblings. It’s his way of showing you how much he values his family and how supportive you obviously are of him. Congrats on raising such a good kid! Thank you Anna. And you are 100% right about the oldest-child thing. I see it all the time – in our family and in others. And this boy is the oldest child of two oldest children :). Not sure if that’s a blessing or not! My son isn’t at the non-talkative stage, but he extremely helpful and I really appreciate it. My second is the work of three kids most of the time, managing her emotions is harder as she gets older, and her jealousy is apparent with the birth of her younger sister. I’m thankful that their brother is willing to drop off the baby as he gets ready for school. You know, April, my son has never been much of a talker (especially not with me) so I’m guessing that yours might not hit at that stage at all! He sounds very happy and comfortable with the big brother, oldest kid role – it always amazes me how those easy kids intuit the need for easiness when more demanding siblings are in the mix!